The 2016/17 Federal Budget was the start of announcements to introduce sweeping changes to superannuation. The taxation arrangements are changing significantly and while the ability to build superannuation balances will be greatly hindered for some people, new opportunities are also available for others grow theirs. “No strategy previously created for clients can be assumed to be appropriate or complying from 1 July 2017 – revisiting those strategies and adapting them to new laws will be imperative for advisers and their clients,” says Liz Westover, Director with PwC Private Clients. With most of these reforms taking effect from 1 July, 2017, the 2016/17 financial year provides one of the last opportunities for many to contribute to their super balances under existing laws, but importantly to get their superannuation affairs in order to be ready for the new era of saving in super. 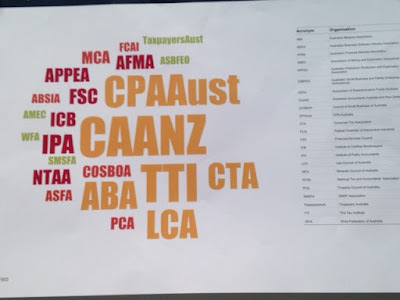 The big bold letters are a big bold reflection of The Tax Institute’s leadership and continual engagement with the Australian Taxation Office on matters the ATO are consulting on to achieve better outcomes for members! Contact the Institute’s Tax Policy & Advocacy team to find out more or to get involved. Fiona Dillon, CTA is an Assistant Commissioner in the ATO’s Tax Counsel Network. At the 24th Noosa Tax Intensive in November, Fiona presents the session ‘ATO Hot Spots’. As Senior Tax Counsel, Fiona has been the ATO’s technical lead on a range of advice, litigation, reform and law design matters across a number of specialisations including trusts and Div 7A, has contributed to the strategic leadership of the ATO’s public advice and guidance, and has been a longstanding member of the ATO’s Public Rulings Panel. Her session will provide an overview of the ATO’s view on some current hot spots, including Div 7A. We spoke to her about what to expect at the Intensive. Capital Gains Tax – 31 Years On – The Great Debate. Day one of the 24th Noosa Tax Intensive kicks off with Capital Gains Tax – 31 Years On – The Great Debate. This panel session will be facilitated by Michael Butler, CTA (Finlaysons) and features a number of experts in the area, including Brian Richards, CTA (Richards Advisory), and Mark Robertson QC, CTA, (Barrister at Law), who here tell us a little more about what to expect from the session. “It is envisaged that the session will explore the legal developments of the CGT provisions and what that has meant in a practical sense to practitioners. The Panel will discuss where the CGT provisions have been applied in a particular way that perhaps the draftsmen did not originally envisage”, Brian said. Simon Steward QC, FTI, is a barrister who specialises in revenue law. At October’s National Resources Tax Conference in Perth he will present the session ‘Can Salary Paid to an Employee Ever Be on Capital Account?’ and take part in a panel discussion on market value. We spoke to him about what to expect at the conference. Admitted to the legal profession in 1992, Simon was called to the Victorian Bar in 1999 and appointed Silk in 2009. 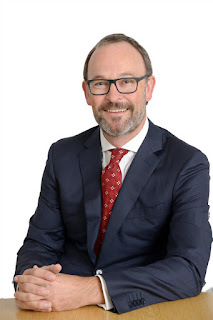 Specialising in the areas of Administrative Law, Taxation and Revenue, he is a Senior Fellow in the University of Melbourne Faculty of Law and is the immediate past President of the Tax Bar Association. He has been a member of the Institute for approximately 21 years. Asked what attendees can expect to learn from his session, Simon told us he’ll be looking at “The deductibility of Salary, and whether salary and wages can ever be on capital account”.